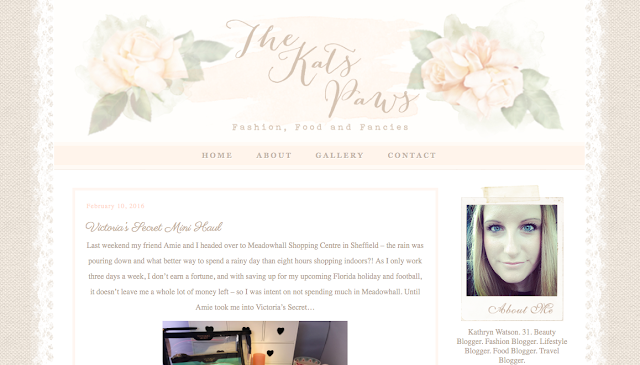 My blog is called The Kats Paws but my name is Kathryn Watson and my blog is somewhere I love to talk about a whole host of things - food, travel, fashion, beauty and more. Why did you start your blog? A lot of people would always ask me where I had gotten something from, or which make-up I would recommend for them and so I thought I would start a blog as I love talking about my favourite things and I love writing. How long have you been blogging? Two years. 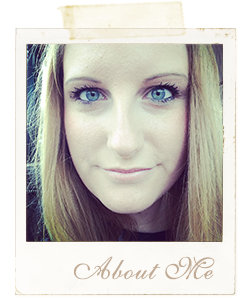 What is your favourite part about blogging and what makes you carry on? I aren’t going to lie, it is amazing being sent products to try out and review that normally I couldn’t necessarily afford otherwise. But I also really enjoy going to blogger events as I get to meet lots of other fab bloggers and have made some great friends through blogging. I also love hosting events for other bloggers and have so far hosted three events - one in Sheffield, one in Hull and one at the Kiehls store in York. What has been your best opportunity that has come as a result of your blog? There have been a lot but I think the best thing was when I went to Orlando this year and Universal Studios gave me free entry and a fast pass to get on rides without queuing - as such a huge company, this was an amazing opportunity. What blogs do you love to read? I actually prefer to watch You Tube videos - Zoella, Velvet Ghost and Sprinkle of Glitter but I always check on British Beauty Blogger’s blog as she seems to review every single beauty product going. Any think you want to add about me and youu as blogger friends ;) It was kinda crazy (in a good way) how we met, I was on Twitter and you and Jenny were talking about an event in Hull and so I asked if I could help in anyway and we managed to put on a pretty fab event for Hull Bloggers with goody bags that I think will go down in history, so that was obviously an amazing experience to share.